You might think that not a lot has changed for men’s straight leg pants over the years… that’s where you would be mistaken! 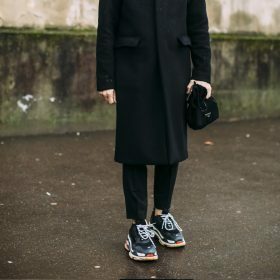 The style has been refreshed for current fashion as the hems have been turned up and straightened, pleats have been added here and there, there are new cropped lengths and the style has been remade in corduroy, wool, and more creative materials. Okay, so not really ground-breaking stuff, but men’s fashion is moving forward! If you’re looking for more of an alternative look than a side-stripe down your pants why not check out the men’s wide leg jeans?